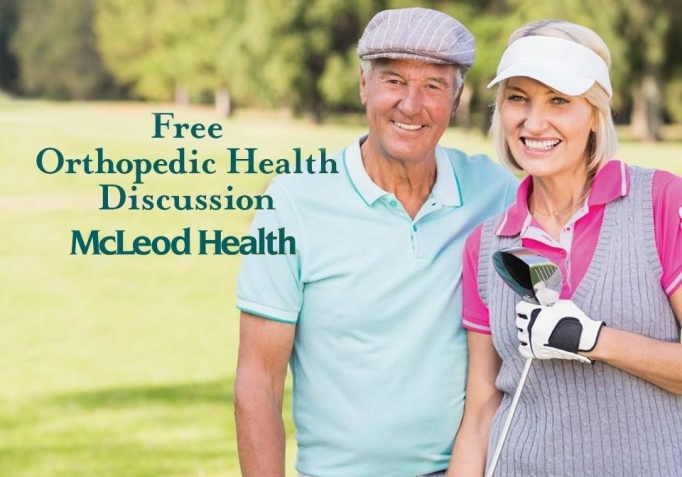 Join our expert panel of McLeod Orthopedic Surgeons for a discussion on joint replacement, hip and knee surgery, osteoarthritis, hand and upper extremity surgery, carpal tunnel and foot and ankle surgery, on November 15, 2018, at 6:30 p.m. The event will be held at Sea Trail Golf Resort and Convention Center in Sunset Beach, North Carolina. Check-in begins at 6:00 p.m. Dessert and coffee will be served. Registration is required and space is limited. Please call Jennifer Beverly at (843) 390-8327 to register.